We are offering our valued clients commendable Multi Channel Temperature Scanner (Model 890). To ensure their optimum-quality, we precisely developed these products by making use high-grade basic material and components. Based on latest technology, these products are accurately provide indication as well as controlling set points for various multiple processes. Further Detail refer for Attached Pdf. File. We are widely acknowledged for offering commendable Digital Temperature Scanner(Model 890). Based on latest technology, these products provide indication as well as controlling set points for various multiple processes. 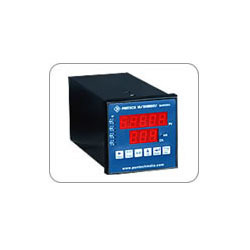 These products accept different process inputs (current, voltage, RTD and thermocouple) simultaneously (or predefined) with facility of all inputs on board field configuration, calibration and displaying. The offered product are provided with two scanning modes auto/manual. These can accept up to 32 different channels simultaneously. These offered products allow channel to group fixings, relays to group fixings. The offered products are provided with an optional 4 analog outputs facility (isolated or non-isolated). The model has in built RTC that provide timed data. Furthermore, these products are provided with front keys through that scanning time can be adjusted from 1 second to 99. All versions are also provided with channel skip facility. These can also be equipped with serial/parallel communication facility of different open protocols. The extended version of the same scanner can also be used as a data logger with a multi channel data loggers (refer model no. 891). 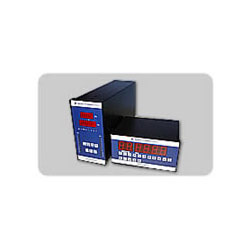 Provided high end microprocessor program ensures the possible user interactive modes. Furthermore, installed low drift precession components ensure long term accuracy of the instruments. All instruments undergo a burn-in for better reliability. We offer these products in different formats and sizes. This way we see that each of the relay is configured to work on a specific group. The relay can also be configured to work on “and” or “or” logic for the assigned group. Looking for Temperature Scanner ?